LaVonne McCart, October 20, 1926 to July 22, 2016, (89) passed away peacefully at home in the presence of her son, Patrick. LaVonne was born in Fedora, SD to Maynard and Opal Scott. She was preceded in death by her parents and her husband, Donald Fleming McCart. She is survived by two sons: Patrick, Sioux Falls, and Scott (Debra), Belle Fourche; grandson: Daron, Phoenix, AZ; brother: Donald, Artesian, SD; and numerous nieces and nephews. Lavonne moved to Sioux Falls after high school graduation from Fedora High School, where she is still remembered for her baton twirling routines. 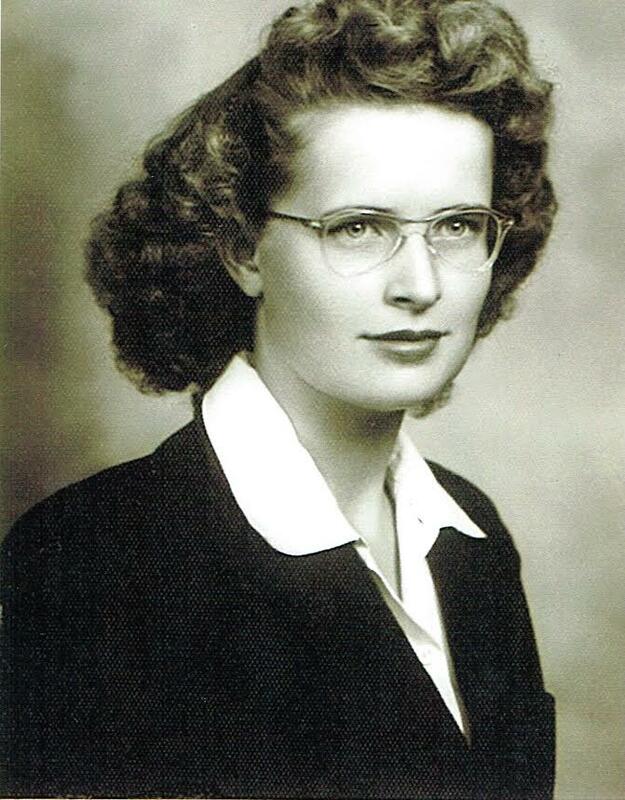 She worked at the Manchester Biscuit Company, Bell Telephone and the Veterans Administration Hospital. Lavonne met and married a handsome returning WW2 swabbie, Don McCart, in 1947. She retired from the VA Medical Records Division, after 35 years of service. She was particularly fond of spending time with her nieces and sharing her love of cooking, China painting, place settings, decorating and old furniture restoration. She remained an active member of Cathedral Parrish, Grandma's Attic and other activities, until health issues curtailed her participation. LaVonne found solace and strength in her faith and both of her boys are grateful for her intercession with the Lord, via rosaries and candles, on their behalf. She was very proud of her Scotch/Irish/Welch heritage. One of the highlights of her life was enjoying "high tea" at Victoria Gardens with the traveling grannies, Mary and Elaine. She was a wonderful mother and will be sorely missed. A special thanks to Avera Home Hospice for their kindness, dedication and professionalism. The family is grateful for all the kindness shown during this time from friends and relatives. Please make memorials to Avera Home Hospice in memory of LaVonne McCart. Let us rejoice in LaVonne's return to the Father under whose love and protection she now resides. Visitation will be Tuesday, 5 PM at Barnett-Lewis Funeral Home with a Scripture Vigil at 7 PM followed by the Rosary. Mass of Christian Burial will be Wednesday, 10 AM at the Cathedral of St. Joseph.